At Royal Vista Dental, we understand how tough it can be to live with missing teeth. That’s why we’re happy to offer dental implants to our patients in Northwest Calgary. 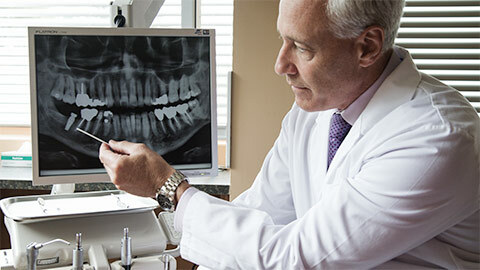 A dental implant is the foundation for the reconstruction of your missing tooth. By fitting a titanium screw into your jaw bone, we create a substitute for the root of your natural tooth. Then we attach a crown to the implant, giving you the look and feel of a natural tooth. It’s important to replace a tooth root because without it, the surrounding teeth might begin to shift in an attempt to fill the gap. This can change the shape of your face as well as cause problems with chewing and eating. That’s why dental implants are an optimal solution! We also offer mini dental implants in Royal Oak to secure dentures. 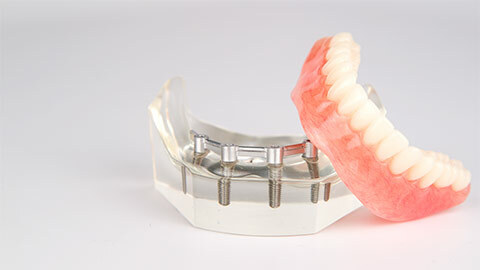 These mini implants eliminate the worry of your dentures shifting or falling out. 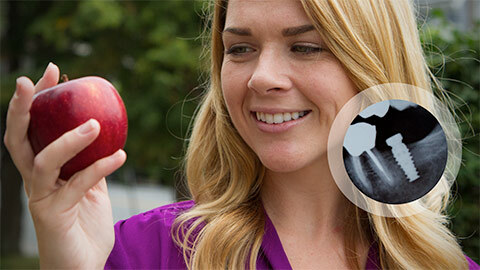 For more information about dental implants, contact Royal Vista Dental today.